I don’t have any pictures of Eldoret up on my blog… I guess because I use this as a space to post travel photos/stories and Eldoret is more in the “home” category than the “travel” category. But my in-laws and I took some awesome road trips in Kenya this summer, and I was all about the paparazzi-ing on those excursions. Here is one photo I took in Eldoret, though. It’s a weaver bird’s nest! We don’t have these in the States, as far as I know. What a beautiful work of art! We piled about twelve people into two cars and hit the road. Our destination: The hot springs of Lake Bogoria. That tall brown thing that looks like a tree trunk is- believe it or not- an anthill. And yes, that is an ostrich walking by it! 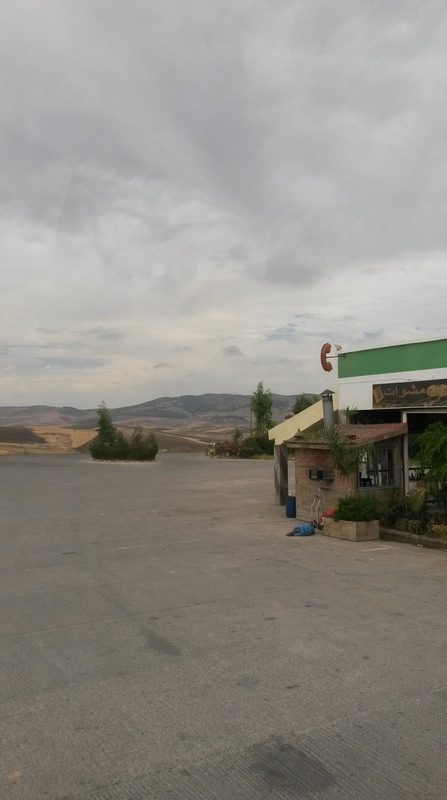 In this area, you can buy a particular type of dark-tinted honey from roadside stands. This honey has a unique taste and doesn’t come from bees, but from the ants that inhabit these giant anthills. It is used more for medicinal purposes than for sweetening. Here’s some more scenery I snapped along the way. Kenya is so gorgeous, right?? We stopped for lunch at a hotel in a town called Kabarnet. I was excited for this because why would I not be excited to eat lunch in a town that sounds like my favorite red wine. We ordered 3 kg of meat, and it arrived on scrumptiously beautiful platters surrounded by ugali, sukuma wiki (sauteed greens) and other veggies, and potatoes (boiled and then fried, soft on the inside and crispy on the outside). Another picture I snapped from the front passenger seat. Yep, those cows know they rule the road! … and some pink flamingoes! At last we reached the hot springs! We had just enough time to boil eggs in them (yes, you read that right! So cool!) before it started raining and we had to flee back to our cars. 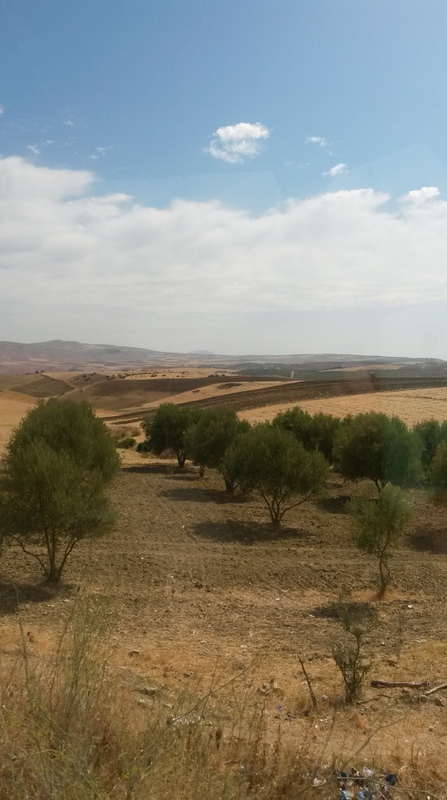 Driving between Casablanca and Rabat, I had moments where I almost forgot I was in Morocco. 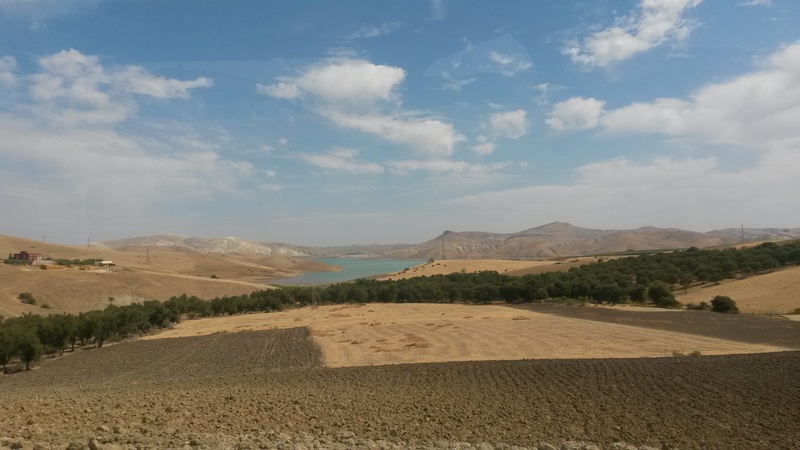 Driving from Rabat to Fes and Meknes is a different story. The terrain, while not wildly different, is somehow not quite like anything I’ve ever seen before. The main Moroccan highways feel very modern. We stopped at a rest area that was definitely cleaner and nicer than some I’ve seen in the U.S. We passed some others that looked a little more rustic, but no holes in the ground for me yet.